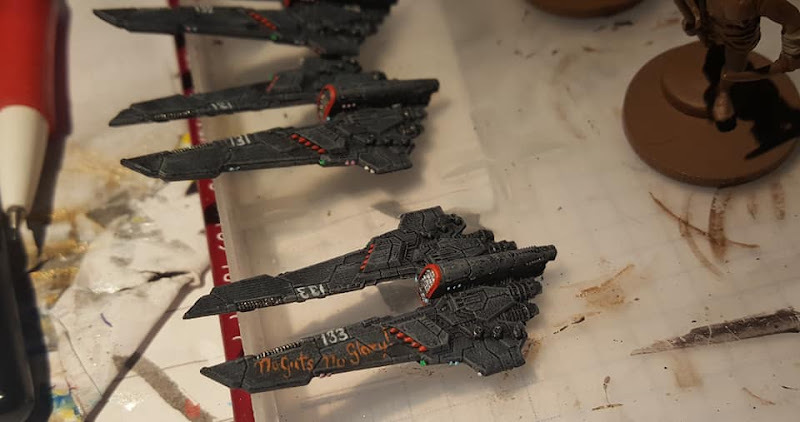 My friend Filip and I decided to make a Dropfleet Commander dedicated blog. The plan is to collect all our Dropfleet related miniatures and efforts there. To collect links and things to the game at this place. A small hub in space. Its still in construction but we feel its ready enough to take on visitors. First out is my Shaltari fleet. Last edited by Engel on Sat Mar 03, 2018 7:25 pm, edited 1 time in total. Last edited by Engel on Sat Mar 03, 2018 7:35 pm, edited 1 time in total. I bought a gaming mat from Deep Cut Studio and I really love it. 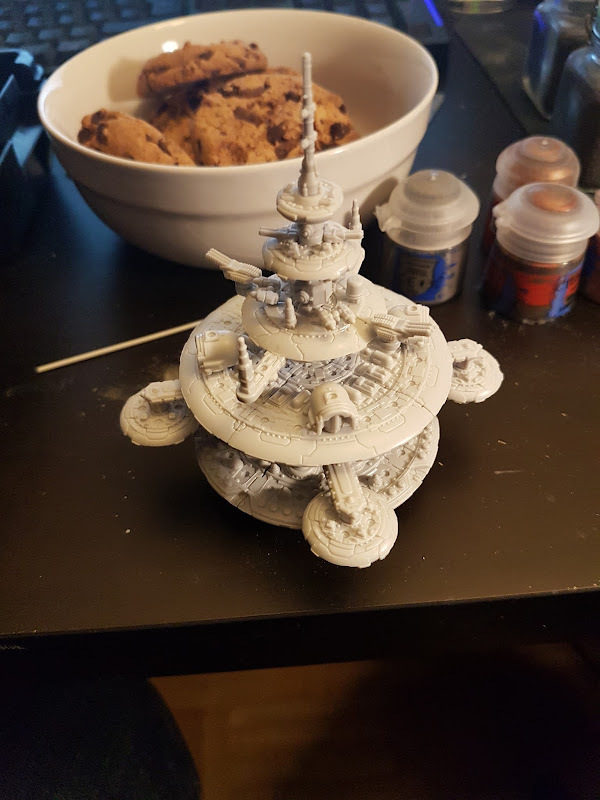 My friend is currently building a large Space station. That plastic kit is really fun to build with. Three brand new corvettes directly from the shipyard to my UCM. I really like these models. Each of the ships have been given a unique decoration.